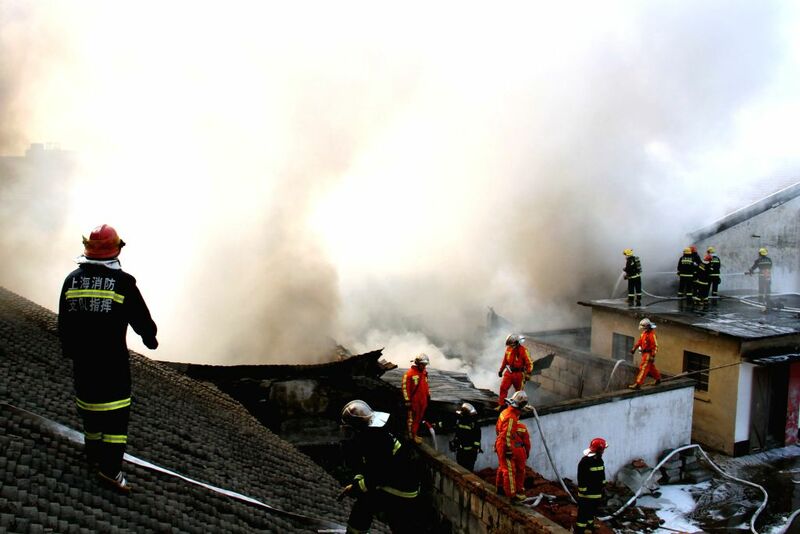 SHANGHAI, Dec. 29, 2014 - Firemen work at a burning factory in the Jinshan District in Shanghai, east China, Dec. 29, 2014. 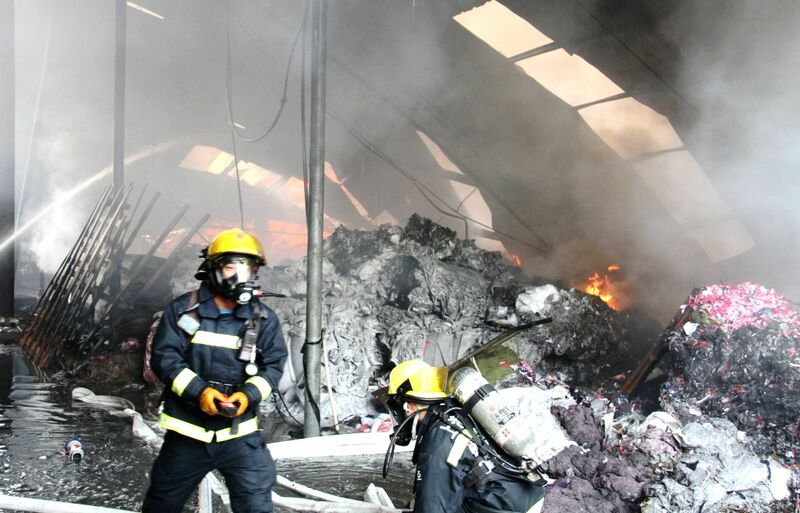 No casualties were reported after the fire. Firemen spray water to douse a fire that engulfed a factory in the Jinshan District in Shanghai, east China, Dec. 29, 2014.